First I want to say I have the highest respect for the Mayor and all he has done for our City. His collaboration with City Council is a major factor why our economy has grown so significantly since he assumed office just over 2 short years ago. This same economic growth, however, is why, as the head of City Council’s Budget Committee, I cannot support his request for an additional $17M a year from your wallets. When I campaigned for City Council in 2013 and again in 2017, I stated there were two ways to raise revenue – raising taxes and economic growth. I prefer economic growth. Our economic growth did require a catalyst to get started which is why I supported the Mayor’s call for a $50M a year tax to fix our roads and his additional call for City Government to keep another $6M a year of your tax dollars in TABOR excess funds in 2017 and 2018 for stormwater. Our economic growth is now in full gear with revenue increases for 2018 over 2017 almost double the $17M the Mayor is requesting. Below is just a highlight of some of the $36,821,716 increase. This is why I opposed the Mayor’s request for a three-fold increase in the Comcast franchise fee earlier this year (that Council passed anyway) and why I am opposing this $17M a year tax increase. And for those who fear this is not the end, IT IS NOT. At our annual summit with the Mayor in June 2017, he told Council he also wants to increase the annual payment Utilities pays the City as well as Utilities giving the City a special rate for park watering. If you think your September water bill was high, you can expect an additional increase if these next two wishes pass as you would pick up the tab. Neither the Comcast franchise fee increase (which Comcast passes directly onto you), nor the increase in Utility payments, nor the park-watering rate requires a vote of the people. This is the only chance you will have to SAY NO against any future tax increase. Please join me as well as two of the other three members of City Council’s Budget Committee in voting NO on Issue 2A. Thank you councilman Knight for being honest with us and giving us the muddy details. 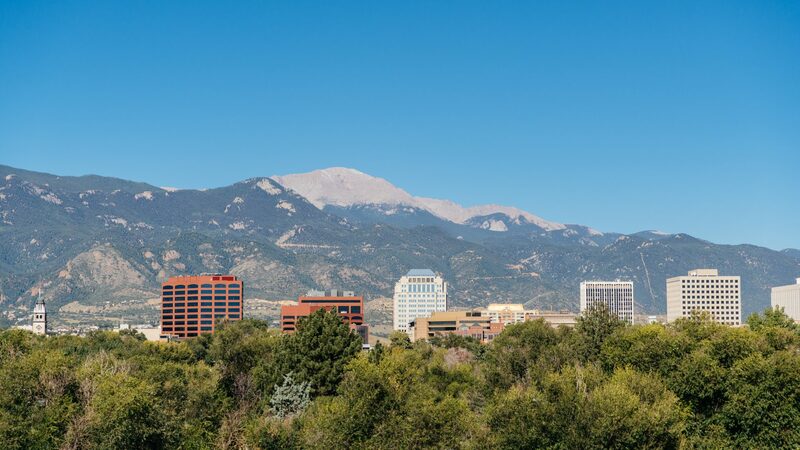 As a Colorado Springs citizen I never hear anything about what is being cut from the budget and I drive around and see all the new housing, apartments and growth and wonder what is being done with that additional tax revenue. Many of my neighbors and I talk about where is all the sales tax from pot going? Each election there is a discussion about needing more money but never hear of anything being reduced. This household will have 4 NO votes for 2A. My wife and I are fortunate enough to own just under 11 acres of land on the westside next to the Garden of the Gods. For generations this land has been in the family, with our heritage and culture being Colorado Western ‘horse people’. If this ballot question passes it will mean that the city can tax us over $300.00/month ($30.x10) Addditionally we will have to pay $5./mo for six houses. In total that means that our liability will be in excess of $360.00 per month? Most of that will be the vacant pristine property next to The Garden which we surely will have to sell. Gone is our culture, and a beautiful hunk of property. Developers? You bet. Who else has the money to buy such a gorgeous spot? Not every single piece of land needs another house, or a parking lot on it@! We will be dead and gone before this poorly thought out ballot issue sunsets, but our neighbors, and children (who for decades have enjoyed it same a we) will suffer with additional traffic, homes, and maybe crime… So instead of open space, wildlife, and presently horses abiding on our land, we can expect high density growth, blocked views, and crime! Hell of a trade off Mayor Suthers. Folks don’t let this happen! I am unsure of how I will vote on 2A. The increase chart above simply shows an increase of about 3% which is natural inflation, which essentially means there is no real increase…it acts as the same. It is true that the Mayor has come up with a lot of questionable methods to raise taxes, and it often looks a little shady; however, it’s because there is no other way the government can raise revenue due to TABOR. TABOR has pros & cons. The cons are this city can’t even fulfill the most basic needs. We are lacking police, the unchecked homeless population is out of control, the landscaping is horrific, and generally speaking the nice people every city yearns for are moving up to cities that show the local government cares (Highlands Ranch, Lone Tree, etc.). What is the total revenue growth for the city in 2017 with the large influx of people moving here and the return of a healthy level of tourism? Where is all the money from the heavily taxed Pot industry? Didn’t we already raise the sales tax under the guise that we needed more police protection? Let’s wait and see if the “fee” is needed. Vote No on the stormwater “fee”.